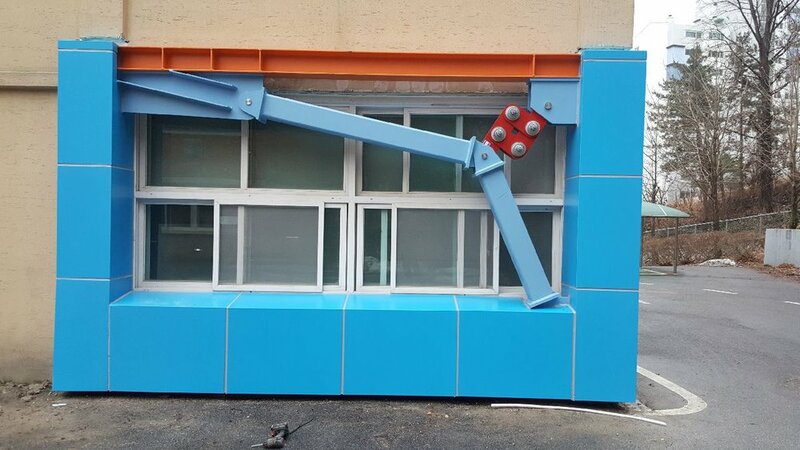 School building in Seoul was strengthened by adding toggle brace frames with Rotational Friction Dampers. Installation of the frame structure. Frame assebly at the factory. Damper testing under the supervision of the CTO of Damptech.